Marker Boards & More — Specialties Direct Inc. So, we offer even more! You may be surprised at just HOW MANY more products we offer! SDI offers a complete line up of Division 10 products for all your commercial and residential building needs. Whiteboards—also known as marker boards and dry erase boards—are a perfect way to stay organized or brainstorm. SDI offers a large selectment of sizes. Custom sizes are also available. Many have achieved both GREENGUARD Certification and GREENGUARD Gold Certification. Bulletin boards are another communication tool that provide you with the opportunity to share your news in the boardroom, school hallway, or building reception area. Available in various colors and sizes. Accessorize your boards with flag holders and hooks. Custom bike racks offer an inexpensive way to make a statement about the facility or complement its theme or look. Looking to reinforce your brand image and make a statement that your company supports alternative modes of transportation? Consider a logo rack. 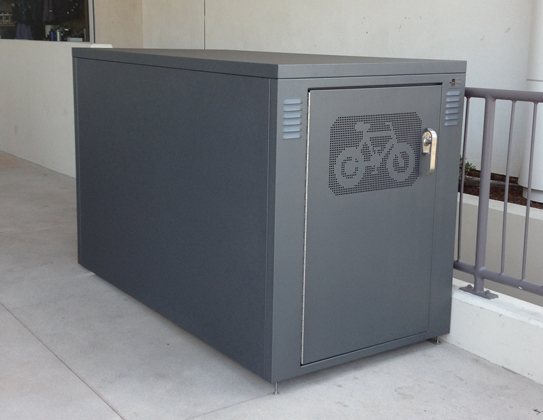 Bike lockers are a great choice for maximum security and long-term bike storage. They often are an excellent compliment to transit stops and park-n-rides. Lockers provide peace of mind, space for gear, and don't require cyclists to carry a heavy u-lock. Show off your trophies, awards and memorabilia. For applications such as schools, libraries and municipal buildings, SDI offers free-standing and wall-standing display cases as well as recessed. Protect your building with top-rated fire extinguishers. And protect your fire extinguisher from corrosion and be ready when an emergency arises with fire extinguisher cabinets. Featuring the same advanced technology trusted by emergency medical professionals—yet simple to use—we offer automated external defibrillators (AED) designed specifically for the first person to respond to a victim of sudden cardiac arrest (SCA). Great for schools, homes, offices, or other similar environments. AED cabinets are also available. The ADA-compliant, high quality, complementary wayfinding systems are made from hard phenolic ES/MP plastic laminate. Your design needs — sizes, shapes, letterform and color — can be incorporated in a standard package. Grade 2 braille signage system meets ADA, ANSI-A117.1, HEW OSHA and VA requirements. Starting with exacting raw material specifications and engineering standards, we offer a full line of aluminum flagpoles made in the USA to suit your installation needs. SDI offers fixed wall TV mounts, full swing wall mounts, in-wall TV mounts as well as carts, stands and automated solutions for you to create the ultimate residential or commercial theater experience. Our AV solutions help you create a modern, aesthetic environment for all residential needs. We have a complete range of solutions for POS, digital signage, interactive displays and kiosks. Lastly, our transportation solutions, designed for high-traffic areas such as airports, train stations, bus stations, parking facilities and public transportation stops, are safe, secure and highly durable. SDI distributes superior quality, USPS-approved mailboxes for centralized distribution and collection of mail and packages. Whether your project simply needs a standard preconfigured wall-mounted mailbox or a custom configured mailbox solution with a free-standing installation option - you will find it here. Our comprehensive line of mailboxes, including Cluster Box Units (CBU's), decorative units and Outdoor Parcel Lockers (OPL's), provides you with all the flexibility you need to meet a myriad of residential and business needs. Whether you need a wall mounted, ceiling mounted, ceiling recessed, tab-tensioned or non-tab tensioned projection screen, SDI has the right screen for your application. Combine the perfect screen with the perfect control option and you have a superior product that delivers quality and performance. Available through SDI are rigid rear projection screens as well as portable models. From home theatre to rear projection systems for business applications, a wide range of rear screen options is available. When you need to travel light and still make a big presentation or a screen that sets up in minutes and makes a big presentation of its own, the portable solution you are looking for. Fixed Projection Screens provide that contemporary, theater-like appearance wherever a permanently mounted front or rear projection screen is required. The viewing surface is flat and that means perfect picture quality. Accordion walls quickly, easily and cost effectively transform a large room into two or more independent spaces in religious, hospitality, health care and other multi-use facilities. Operable (movable) walls are designed to help block sight and sound when transforming large room into two or more independent spaces. They are especially useful in convention / banquet halls as well as gymnasiums. Because we're Direct, we offer a complete line up of Division 10 products.